The San Francisco Symphony’s presentation of Boris Godunov, Modest Mussorgsky’s magnificent opera, was sensational. On Music Director Michael Tilson Thomas’ long list of semi-staged productions, this one may be the best, which is saying a lot. Mussorgsky, composer and librettist, based the opera on Alexander Pushkin’s play, written, in 1827. The Russian censors kept the play off the stage until 1866 portrayals of a czar were not allowed. Mussorgsky had to obtain a special license for his opera which he finished it in 1869. If the plot seems tangled it’s because the historical subject, set in 1598-1605, is impossible to clarify. When Ivan the Terrible died, his son, Fyodor, became Czar. He was truly too good to rule and allowed his brother-in-law and head minister, Boris Gudonov, to take charge. Boris was not troubled by ethics. Fyodor’s half-brother and true heir, Dmitri, died in mysterious circumstances. Ironically, the Hedgehogs saw the opera on Father’s Day. Pushkin decided Boris was the murderer. Maybe he was, and maybe he wasn’t. Think of Shakespeare blaming it all on Richard III and the evidence that even if he was a rotten guy, he wasn’t the murderer of the little princes in the Tower. The power of a good story always, shall we say, trumps the facts. In the opera, Boris is tortured by guilt, but it is not plainly revealed for what. He knows that the public blames him for bad crops, bad weather, and the death of Dmitri. He sings that he poisoned his family, but he says that just after complaining that the public blames him for everything. So, the comment may be part of the list of things he didn’t do. Mussorgsky does not give anything away. In fact, there are no facts except that everyone is plotting, lying, and when possible, killing. The San Francisco Symphony Chorus, representing the long suffering Russian people, suffers and, short of bread, devours what ever rumors come to it, even when they contradict the last set of rumors they devoured. This opera is about the evils of Fake News. The cast was impressive both for brilliant voices and for portrayals of the rascally, deceiving, greedy for power characters. Mr. Trofimov’s every movement and expression revealed Boris’ deep emotions. What a voice! His powerful bass was resilient at every note. He was fearful for himself, his son and daughter and, he was right to be. Soon after Boris’ death, strangers appear to capture the czar’s heirs. The daughter has a blindfold over her face and is manhandled off the stage. They are not playing pin the tail on the donkey. Yvegeny Akimov played Prince Shuisky. Isn’t it great to have a tenor be a bad guy? He was a manipulative liar, like Iago in Othello, and like Charles Boyer in the movie Gaslight, he worked to drive Boris mad. He appeared to support Boris, but flipped allegiances quickly. Shuisky belonged to no side except his side. His strong, flexible voice fascinated the audience. When the Czar and Shuisky physically assault each other, it is over for the Russians. They were all bad guys, as it turns out, but as singers they were over the top fantastic. It is a huge cast and more than this writer can fit into a Hedghog entry, though each deserves bouquets. All but two of the male roles were taken by Russian singers. The solemn friar, Pemin, was played by Maxim Kuzmin-Karavaev. He seems dedicated to religion and writing Chronicles of his era. It’s good to remember that the historian, especially when he is the only historian, is in the best position to make sure it is his party which wins–in the very long run. It will be his Fake News handed down through centuries, or at least until more people become literate and record their own favorite lies. Sergei Skorokhodov sang the role of Grigory, the Pretender. He first appears as a monk longing for contact with the real world of armies and adventure. He manages to elude those sent to capture him and survives to present himself, all cleaned up, as Dmitri, believed to be dead but now back to claim his throne. Baritone Aleksey Bogdanov sang Andrei Shchelkalov, the Secretary of the Duma (Russia’s “parliament” of aristocratic advisors). In history, Shchelkalov was a greatly feared “diplomat;” in the opera, Bogdanov gave him a calming presence. He speaks for Russia itself. Bogdanov’s appearances provide brief feelings of certainty in the midst of chaos. The presence of a Holy Fool extends the sense of Shakespearean theater that courses through Mussorgsky’s libretto. In Shakespeare, the Fool is there to speak the truth, even if in riddles and songs. This being set in Russia in the last years of the 16th and first few of the 17th century, he is Holy. 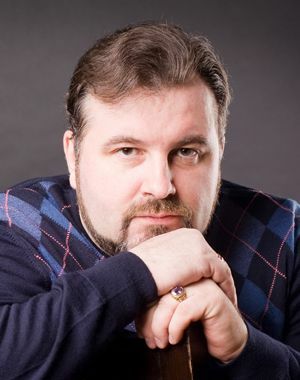 Tenor Stanislav Mostovoy turned this small role into a powerful light in the midst of darkness. 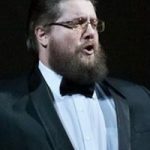 The American tenor, Ben Jones, played Missal, and American bass-baritone Philip Skinner was Niktich. Each left his mark embodying the characters with voice and stage presence. Catherine Cook appeared as the Innkeeper. There are only a few female roles. Each one was sung by singers who can hold the stage. 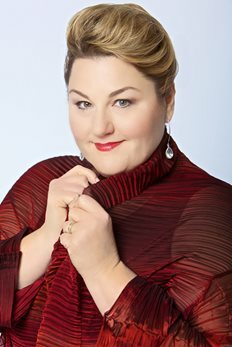 Soprano Jennifer Zetlan portrayed Boris’ daughter. A delicate woman who lost her fiance to political murder, she is sad and needs the comfort of her Nurse, sung by mezzo-soprano Sylvie Jensen. Catherine Cook played the Innkeeper with a robust mezzo-soprano voice and a canny way with government guards as well as outlaws. The Czar’s son was a trouser role for mezzo-soprano Eliza Bonet. She projected the defiance, fear, and confusion of the young man who was the legitimate heir of the not exactly legitimate Czar. In the Elizabethan world view, the ruler is truly the head of the nation. If the head is lost, ill, displaced by someone who does not belong on the throne, the body of the country will suffer civil wars, famines, plagues, foreign invasions until the rightful ruler is in place. Pushkin admired Shakespeare and, from his vantage point in Russia, would have understood that the metaphor played out in horrible chaos in the real world. If the head of the nation has no interest in the health of the people, their works, the country’s forests and rivers, it is also a case of the head being sick and infecting the body of the country. Nothing will be right until that one is removed. Mussorgsky’s Boris Godunov and a long series of successors had to be removed. It’s the trick of great art: it lets one experience chaos, the dissolution of civilization, while sitting safely in a chair believing it couldn’t happen here. This entry was posted in Hedgehog Highlights and tagged Alekxey Bogdanov, Alexander Pushkin, Ben Jones, Boris Godunov, Catherine Cook, Charles Boyer, Eliza Bonet, Gaslight, Iago, Ivan the Terrible, Jennifer Zetlan, Maxim Kuzmin-Karavaev, Michael Tilson Thomas, Modest Musorgsky, Othello, Philip Skinner, San Francisco Symphony, Sergei Skorokhodov, Stanislav Mostovoy, Stanislav Trofimov, Sylvie Jensen, William Shakespeare, Yvegney Akimov on June 21, 2018 by Leslie.